In 2012, the American Academy of Pediatrics (AAP) released a policy statement to outline the harmful effects of pesticides in children, and to make recommendations on how to reduce exposure. According to the statement, prenatal and early childhood exposure to pesticides is associated with pediatric cancers, decreased cognitive function, and behavioral problems. In addition, the statement pointed out that recognizing and reducing children’s exposure to pesticides requires improved medical training, public health tracking, and regulatory approaches, and made recommendations on specific actions that should be taken to decrease such exposure. Despite the recognition of the dangers associated with pesticide use, and the AAP recommendations on limiting children’s exposure, not much has been done since 2012 — indeed, it’s likely going to get worse before it gets better. The AAP recommended that pediatricians should ask parents about pesticide use around the home and yard, offer guidance about safe storage, and recommend parents choose lowest-harm approaches when considering pest control. Are pediatricians following these recommendations? At this time, let’s say this is an open-ended question — although we may guess what the correct answer is. Let’s now move from the local (the American Academy of Pediatrics – AAP) to the global (the Food and Agricultural Organization of the United Nations – FAO). According to the International Labour Organization (ILO), nearly 100 million boys and girls between 5 and 17 years old are engaged in child labor in agriculture. Many are directly exposed to toxic chemicals while working on the farm — however, children are also exposed when they help with family chores or play, and through the food they eat and the water they drink. Exposure can result in acute poisoning and sickness immediately after contact. But often, it also has longer-term, chronic impacts on their health and development. Children are particularly vulnerable to pesticide exposure for various biological and behavioral reasons. They breathe in more air than adults and so take in more dust, toxic vapors, and droplets of spray. Relative to their body weight, children need to eat and drink more than adults, and if food is contaminated, they absorb more toxins. The surface area of a child’s skin per unit of body mass is greater than that of an adult, and their skin is more delicate. All these factors can lead to greater absorption of chemicals, and children’s organs are less able to detoxify pesticides because they are not yet fully developed. Now, recognizing that education is crucial to limit exposure to pesticides (as stated by the AAP in 2012), FAO and ILO extension workers in Africa and elsewhere are engaging with rural communities to reduce exposure to pesticides used in farming. The program mostly targets Africa, Eastern Europe, the Caucasus and Central Asia, Latin America and the Caribbean, and Asia Pacific — regions in which children are more likely to be exposed to pesticides used in farming. But, are these the only regions that should be targeted? You can easily answer this question after watching (see below) how children are exposed to toxic pesticides — daily — while working on U.S. tobacco farms. The exposure to chemical toxins in children is not at all surprising especially considering that the United States as of 2014 produced 214.3 million pounds of tobacco from Kentucky alone. The United States is ranked in the top five for tobacco producing countries. The lists for the top 5 includes China as number one, then Brazil, India, the United States, and then Malawi. Throughout history, children have been working on farms just like the gentlemen in the video stated. As the demand for tobacco continues so shall the exposure of children to these toxins and diseases such as Green Tobacco Sickness (GTS). To combat the exposure of children to pesticide a big plastic bubble is needed to encompass the mass of the child. Pesticides and toxins are not only found on a farm but in our own homes on the fruits that we eat and the gardens that we admire. As I read through the comments I believe that the problem can be thwarted with a combination of different steps from many different angles. All of these steps are much easier said than done. I believe there needs to be more government intervention to provide low income families with the proper support to meet their everyday needs thus eliminating the need for children to work on farms. 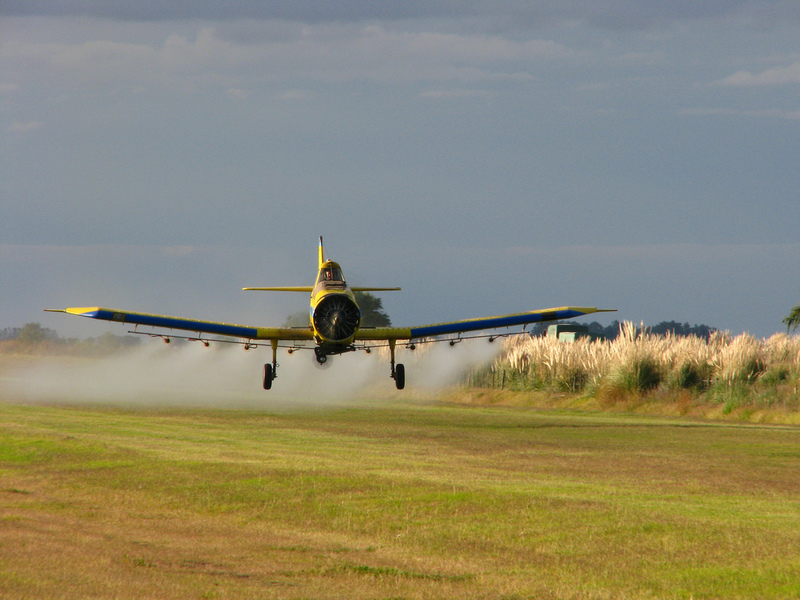 As technology advances an emphasis needs to be put upon the development of agriculture with safer techniques that will make pesticides obsolete. Once the pesticides are eliminated grants by the government should be in place to promote the development of green machines that can pick and harvest crops with minimal human intervention on the field. Modern society causes many unforeseen consequences that have lead to illness in the children of our world. Science and advancements in technology with government interaction is the next step in creating a better world for all of us. When considering pesticides, the National Research Council states that children are not “little adults”. For example, the metabolic rates of children are more rapid, and children process toxicants differently. Special regulations should be in place to protect children from pesticides. I know the main topic about this post is about pesticides, but I would like to point out that the tobacco crop itself could be an issue for the kids in the video. I’m not saying that pesticides are not to blame for their health issues and risk, but that instead working the tobacco fields is causing a double dosage of toxins on their systems. The nicotine from the tobacco is toxic stuff, not super deadly kill you in 10 minutes tetrodotoxins but will cause deleterious effects on people’s health. Green tobacco sickness is a common issue in workers who handle tobacco plants often, the nicotine accumulate in morning dew, any residual water that is on the plants, and the sap from the cuttings. This can be absorbed by clothes or sweat on the skin and pass through into the blood. We did see them wearing trashbags for protection but they still have exposed skin and once it gets on their clothes once it will keep leaching into them until they change. So especially for children and teenagers working the field these concentrated doses of nicotine along with pesticides must be awful for their current and future health. As glyphosate, used in pesticide resistant crops, becomes less effective, chemical companies are looking to utilize some other existing herbicides to help the glyphosate overcome weeds that have evolved to resist glyphosate alone. Dicamba and 2,4d are cheaper for them to rely on than developing some new alternatives that might be better than any used now. This shortcut is moving in the wrong direction, and adds more toxicologic risk into the practices. This move away from innovation toward safety and short term profit does not dode well for societal wellbeing. Both dicamba and 2,4d have known toxic risks that will be even more problematic than gylphosate alone. the ‘profits gained by these companies are false profits to the degree that the companies externalize real costs of their activities onto the public. Wouldn’t it be wiser for those companies to put more of those stolen ‘profits’ into safer innovation for new ways to deal with the weed issues? in a slightly longer run, these innovations could benefit both the company bottom line, the food safety for society, and better health for our children.Currently, those status quo practices are ‘ripping us off’. I find the video footage enlightening but I am not surprised. I really enjoyed reading the article especially the local to global transition. Yet again, I am not surprised to know that even with a specific policy which explicitly demands pediatricians to be aware and responsible for raising awareness and educating parents, is not in practice. Here in Georgia, most of the people that work on the fields are undocumented immigrates and children making less than minimum wage, living in unhealthy, substandard conditions. According to the Southern Poverty Law Center worker abuse is widespread, including wage theft, pesticide sickness, seizure of ID documents. The workers are basically treated like prisoners by the farm owners and law enforcement turns a blind eye to these abuses. But new workers keep coming. Why? These abuses are tolerable compared to living in abject poverty. The Agro/Farm Lobby is one of the richest and most powerful in Georgia. Farm owners have no incentive to stop using pesticides because Georgia would never past legislation mandating it. And the workers have no rights to demand the owners to do so. Exposure to toxic pesticides needs to be minimized especially for children, but until something is done to help people out of poverty, it won’t stop. The over exposure to pesticides at any age will undoubtedly have negative side affects on the body. We all daily are exposed to some type of harmful toxin in the air, water, or our food, that can prove to be harmful overtime. However, until we can honestly find a better way to protect our crops against insects and other things, I do not see the usage of pesticides diminishing any time soon. I think the bigger question to answer from this post is ,”why are these kids in the fields?” From the video posted it is clear to see that like the two young men, many children across the world are living in poverty and if at a young age they do not work in many of these dangerous jobs, then their basic needs will not be met.Its no secret that many of the families living in America are living well below the poverty line and this is forcing many children to go to work at early ages. Until we can find a way to help pull many of these families out of poverty these children will be forced to do these jobs that will continue to expose them to harmful chemicals such as pesticides. I know that the use of pesticides is extremely harmful to our society, and I agree the more concerning part of this piece is the child labor. The use of organic and non-GMO food products are becoming more popular, but these children will still be working in the field whether pesticides are used or not. There should be more strict government regulations regarding the child labor. I know that this is a primary source of incomes for those living in more rural areas, but children should not have to endure the conditions of working on a farm. Maybe over time the government could provide more options for the low-income families that depend on the entire family working. With today’s society, we will most likely never escape the pollution that is causing so many medical issues. In today’s society, there is absolutely no way that we can escape the harmful toxins in the air and food supply, many of which are brought on by the use of pesticides. It is unavoidable because these toxins are used on the plants that we consume and the air that we breathe in. Even though we may resort to such measures as buying organic or non-GMO foods from local famers markets, we cannot be certain that the methods used to cultivate these foods are indeed pesticide-free practices. Once these chemicals enter the soil, I believe that there is no way to redeem that piece of land on which they are used and if there is, who knows how many decades of pesticide-free farming would be needed to achieve such a feat? Pesticides are one type of harmful chemical used in modern society for the sake of producing as many crops as possible (that are not eaten by various insects) but what about the food processing methods thereafter? Is there any way we can safeguard ourselves from all of these harmful practices induced by modern society? The answer is easier said than done, buy a plot of virgin land and become self-sustainable. It was shocking to discover in the video posted that school age children in America are working on tobacco farms. This is a phenomenon which I normally associated with less developed countries and had no clue it was happening in our own backyard. Aren’t we supposed to be ahead of the curve on labor rights considering our economic status as a world power? You are correct when you say that as a global superpower the United States of America, a place where many from around the globe come to find employment, is supposed to be ahead of the curve on labor rights. However, we all know that is not the case. Many of the large companies that we shop at and support and that comprise our great nation seek to mass produce their product at minimum cost. This leads to them “setting up shop” in poor areas or countries, and unfortunately because the people their have not typically been educated or know about “big business” and their rights as workers, these companies are able to find loopholes to keep their labor cost low. Laws are being put in place to stop this but the penalty is not typically severe enough to affect these big companies. I know about those large companies “setting up shop” in other countries and exploiting the resources and cheap labor there but I did not know it was also happening in certain parts of this country as well. I thought there were laws against child labor here and by that I mean having school age children working on tobacco farms. I think there is an issue with the fact that school age children firstly should be in school and not being put to work and secondly a tobacco farm? That should be a place where people over the age of 18 are allowed to work. It is far too easy for us all to assume we know enough about the biologic and toxicologic complexities of the subtle accumulative low dose exposures that we are each having to deal with in order to make good decisions about best management practices out in the real world. We just do not know enough to be confident of ultimate safety of our practices. If we rapidly add to the 85k base of mostly ‘new to the environment’chemicals we create or concentrate as products to disperse and degrade as pollution, we obviously can’t keep up with the degree of toxicologic testing and knowledge necessary to protect our children,and their children, let alone future generations.The new science of epigenetics is starting to clarify the gravity of some of these dangers. We are in deep deep doodoo as we continue to rapidly pollute our world… and it is not ours to pollute, we are borrowing it from everyone coming after.